Oster clipper blades or clipper guide combs? I just bought a Oster 97 (it is the Oster classic 76, only for the Europe). I need either a comb or a new clipper hed to make the cuts about 3mm (3/4 inches). The clipper head is much more expensive then a comb, but is it more likable than a comb? What should i get, the more expensive head or the cheaper comb? I would just get the comb attachment. If you are only cutting your hair I would get the comb. My last clipper comb combo lasted me nearly 20 years. I have the 76. I'm not sure about the cutting lengths specifically, but I definitely prefer having the different blades. For me the comb attachments were clumsy and took up too much space. I was always worried if they were on straight and even. They never felt as if they would fall off, but sometimes I think they weren't always on squarely. The different blades are literally a snap. They are small and easy to keep organized. The cost of each blade is close to the cost of a set of combs. No getting away from that unless you catch a sale. (02-01-2018, 06:20 AM)bakerbarber Wrote: I have the 76. I'm not sure about the cutting lengths specifically, but I definitely prefer having the different blades. For me the comb attachments were clumsy and took up too much space. I was always worried if they were on straight and even. They never felt as if they would fall off, but sometimes I think they weren't always on squarely. I use the attachments on my Wahl and I have no problems. If I was cutting hair professionally it would make sense to have the blades and up to four clippers. I don't like changing blades, the numbered attachments are easier. I use combs that attach via hook & magnets. They are very secure and have never come loose or attached incorrectly. (02-04-2018, 10:35 AM)mike_the_kraken Wrote: I use combs that attach via hook & magnets. They are very secure and have never come loose or attached incorrectly. I didn't try the guards that were that fancy. I also only use two different blades really. A #1 and the 000 that came with it. I did buy a #2 but it was a bit long for me. (02-04-2018, 11:55 AM)bakerbarber Wrote: Hahaha. Do you still have the "2? The sizes I use is the #1A and "2. I use the 1 1/2 or the 2. I basically just have to worry about the sides and back. I miss going to a barber but it isn't worth $12 for what hair I've got left. Comb teeth can break, mine have. Personally, I would purchase the appropriate head. But, that's me. Not to mention, the less hair you have, the more inefficient the plastic combs can be. (02-05-2018, 08:09 AM)primotenore Wrote: Comb teeth can break, mine have. Personally, I would purchase the appropriate head. But, that's me. Not to mention, the less hair you have, the more inefficient the plastic combs can be. 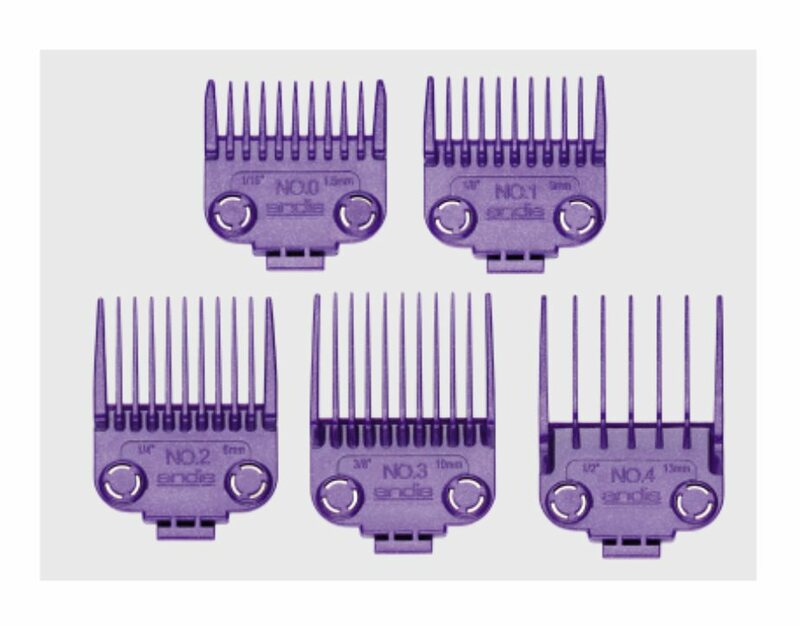 Primo, I've had the plastic combs break on my Wahl clippers and I found replacements at a Sally's Beauty Supply near my home. The combs do help to keep things even though when you cut your own hair. I always have to pay close attention though.